Innovation Engage is a boutique consultancy agency that offers customised services to client organisations on higher education, innovation and local and regional knowledge-based development. The firm was established in 2013 by Jaana Puukka, and is engaged in projects covering strategy, change management and institutional performance as well as knowledge management and production. Innovation Engage works closely with its clients – international organisations, universities and other education institutions, associations, foundations and government agencies at different levels. What does it do in practice? Innovation Engage carries out research, evaluation and analysis of policies and programmes. 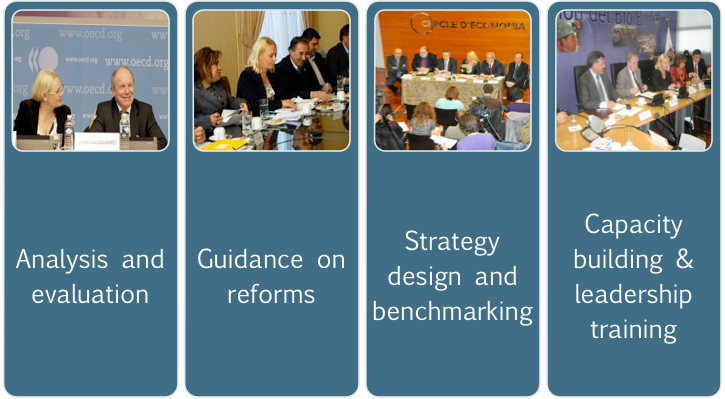 Innovation Engage provides guidance on reforms. It consults on the design, implementation and evaluation of strategies at international, national, regional and institutional or faculty level. Innovation Engage supports capacity building, leadership development, and helps manage and develop networks and communities of practice. Some of the themes that Innovation Engage has recently been involved in include Modernisation of Higher Education, Universities Role in Smart Specialisation Strategies, Human Rights and Citizenship Education at Schools, Higher Education Institutions as Drivers of Entrepreneurship and Local Development, Emerging Science City Models, Entrepreneurial and Internationalisation Strategies, Widening access and improving success in education, Graduate Employability, University-Industry Collaboration and Community Engagement, Higher Education Management and Governance. InnovationEngage is a Greater Paris-based strategy consultancy that offers customised services to client organisations on innovation and higher education.